You can create a free account and test out the basic features, some of the features are only available for premium users. The service includes quite a few useful features, the most important of which I’ll mention below. Not only does Grammarly detect common spelling mistakes, but it also helps with sentence structure. For instance, it will recommend commas where commas should be as well as other punctuation suggestions. The premium version Unlocks the most useful features, such as Plagiarism and Vocabulary Enhancement. These features are particularly useful for people who work online and have to produce content on a regular basis. Sometimes, even when you write an article from scratch, many of the same sentences are found in already published articles thus increasing the risk of receiving a penalty from Google for duplicate content. Therefore, it’s important to run your article through a plagiarism checker before you hit the publish button. Grammarly’s plagiarism checker runs in real-time so you can quickly make the necessary changes. The other feature, Vocabulary Enhancement, is a rather useful feature that I haven’t found on other text editing platforms. It scans your document and recommends words that you might not have thought about. Additionally, it also makes it easier for you to improve your vocabulary thus improving the overall quality of your writing skills. You can also choose to switch off the features that you don’t need. Grammar checkers are not correct all the time, and sometimes they recommend incorrect changes, so if you feel that you don’t need these, feel free to disable them. There’s a box on the left sidebar that lets you disable or enable the features that you desire. There’s also a feature that allows you to get in touch with a professional human proofreader and have him or her check your article for mistakes and edit them in real-time. This is only available to premium members. There’s also a plugin for your web browser which I also found useful. Another great feature is that it explains why a sentence is incorrect and provides some helpful grammar tips. You also have the opportunity to learn with Grammarly. Every time you review a document, it tracks the type and frequency of errors to build up a picture of your weaknesses. 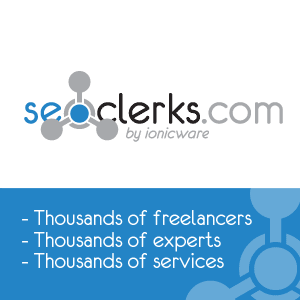 It is an excellent text editing platform that will definitely enhance the quality of your documents. I liked how the platform works at record speeds; everything is done in real-time, and there’s no need to wait for loading screens. It did take a couple of seconds to check for mistakes, and I assume the loading time will increase depending on the length of the document. I thought the vocabulary enhancer was a particularly interesting feature; I learned quite a few new words’ from this function alone. If you’re a professional writer, or you aspire to be a writer, improving your vocabulary is one of the best things that you can do for your career. Additionally, I also liked how instead of having to click right on a typo to select the correct word, all you have to do is click once on the error and the changes will be made for you. The mistakes appear inside the right sidebar, so all you have to do is scroll down and click on the changes that you need and ignore the ones you do not need; it’s simple and easy to use. I didn’t like the format of the text area, I think it should fill the entire screen and not just half the screen, it looks like all the text is aligned to the left of the page. There are also no additional text formatting features. If you copy a document that is formatted into Grammarly and then copies it back out, the format will be gone, and you’ll have to reformat everything once again. This is particularly annoying as it also deletes any Youtube videos and you have to reinstall it. I’m not sure why this problem has not been sorted yet. Even free text editors allow you to keep the same text format as the original document and won’t delete youtube video scripts. 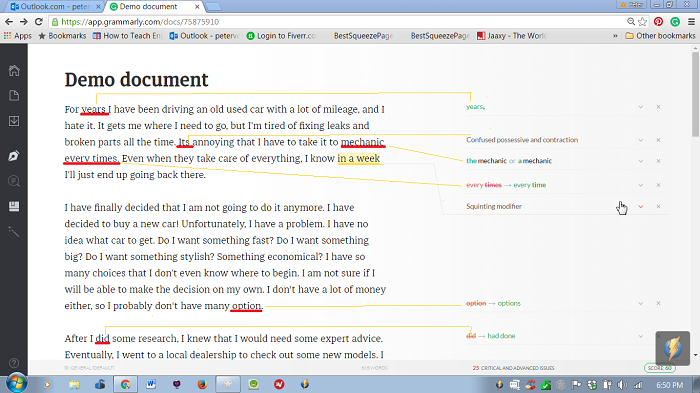 How to Make Use of Grammarly? You can make use of Grammarly instantly by copying and paste the text that you want to be checked for grammar mistakes. Another amazing feature is that you can even upload your existing doc for finding out all the grammar mistakes that it contains. You can use the trial of Grammarly for free, but if you want all the features, you’ll need to subscribe to the premium version (see paid below). The free version of Grammarly comes with 100 points of grammar, punctuation check’s and contextual spell-checker while the premium version comes with 250+ points of grammar, sentence structure, plagiarism detection, vocabulary enhancement and many other features. “Grammarly will make you become a better content writer; this is the reason that you should immediately subscribe to Grammarly and get the Free Version at the very least! Below are the Different Subscription plans available for you should you wish to upgrade later. Annual Plan at $11.66 per month. You’ll be billed $139.95 for the annual plan. “If you want to become a better content writer or want to earn more money from your freelancing business, then I’ll recommend you to subscribe to the annual plan of Grammarly. 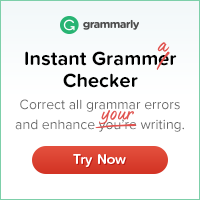 Grammarly is a tool which comes with the best grammar checking algorithms. The most surprising thing is that Grammarly is built by people who’re the world’s leading linguists, so it’s developed by individuals who have a lot of knowledge about grammar, punctuation, and vocabulary. Grammarly aims to perfect written English by continuously advancing the world’s most accurate automated proofreading technology. The Grammarly engine checks for more than 250 types of spelling, grammar, and punctuation errors, enhances vocabulary usage and suggests citations. More than 3 million English writers worldwide trust Grammarly’s products, which are also licensed by leading universities and corporations. Grammarly is a powerful text editor, and it has a massive database at its disposal. If you need to write a lot of documents, then you might want to check out this product. The free version will help spot typos and other grammar mistakes while the premium version will provide you with more advanced features. I think the text area should be a little larger, and you should be allowed to keep your original text format, other than those that I recommend this as a writing tool for high achievers. It’s perfect for people who work online and need to write a lot of articles for their websites but would like their writing to be free from common mistakes. The best way to use Grammarly and to make money online is to make commissions by selling other people’s products via affiliate marketing, and all you have to do is send traffic to the marketer’s web page & collect commissions. This can be done by having quality content and information that people will want to read. As time goes by your readers will find your information useful, and you will be able to convert them into paying customers. So if you can provide useful information in your niche and include well-written product recommendations and you post regularly, you’ll be able to start generating a steady stream of traffic and sales from the search engines. Thanks for taking the time to read my Grammarly review and I hope you check it out and let me know what you think about the service. If you enjoyed this article “Online Grammar Check” please feel free to share socially or leave a comment below. Grammarly is worth a try. 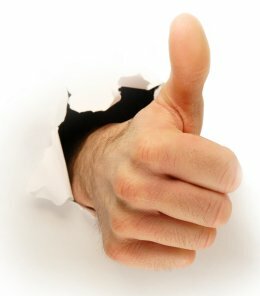 I searched the internet and find some review about this tool and the amount of positive review was amazing. almost ever people prefer to use grammarly compared to the other. I use the free version of Grammarly, but I have often wondered about whether to ugrade to the full version. Even the free version has been very useful, though. I always thought I was a great writer, but I have been discovering some things that I was doing wrong. Do you think it is worth upgrading to one of the paid versions? Are the additional mistakes that it finds worth the money? Hello, Marcus The advantage of having the free version membership is that occasionally they offer an upgraded membership at a discount which happened recently and I took advantage of a 40% offer and am pleased I did as the premium version is so much better and faster too. Either way the program is still worth having as it makes you much better writer. Thank you fr your feedback 🙂 . This was something i’ve been looking for often as I struggle with my grammar. Specially using the same type of words over and over due to english being my second language. Writing without duplicating your own content can be difficult after writing 100 post but this definitely a great tool to have in your arsenal. This is a great review of a product that I believe in. I have been using Grammarly for a while now and am very happy with it. I am a pretty good speller and have good writing skills, but as you say, nobody is perfect. It seems like I am always overlooking some time of error. Grammarly is very helpful. I have been sitting on the fence for awhile now for Grammerly, thank you for your honest feedback because it gave me so much more confidence to try it out now. One last question, can I ask if the free account have limited usage per month or per account? I feel like testing it out for awhile before actually purchasing the premium account. Hello, Jessen Grammarly is very straightforward and intuitive to use. It runs in your internet browser, so there is nothing to download, and the features are kept to a minimum, so as to stay focused on its core function. The free version of Grammarly comes with 100 points of grammar, punctuation checkâ€™s and contextual spell-checker while the premium version comes with 250+ points of grammar, sentence structure, plagiarism detection, vocabulary enhancement and many other features. Grammarly will make you become a better content writer; this is the reason that you should immediately subscribe to Grammarly and get the Free Version at the very least. You can create a free account and test out the basic features. I was having trouble in grammar. Sometimes when I am doing my University article or writing a blog post, I have no way to correct my grammar mistakes. The detection from Word is not good enough. Especially when I am doing passive voice, Word doesn’t do the right thing to my work. I would like to join the Grammarly Premium. But I would go for this when I am making more monthly income first. Nice – I have to check it out. I definitely think it would help to have a tool to run by my articles and check it all out, so people don’t judge me for a dumb typo. The premium features sound great, but don’t have the money right now – will wait for later! Thanks for the great review. I have been trying to find software’s that check my grammar for the posts I write. 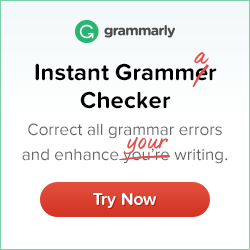 I was amazed to read that the Grammarly engine checks for more than 250 types of spelling, grammar, and punctuation errors. How much is the premium version? For someone who writes posts daily like me it will be totally worth it. Hello, Juan Grammarly is very straightforward and intuitive to use. It runs in your internet browser, so there is nothing to download, and the features are kept to a minimum, so as to stay focused on its core function. Annual Plan at $11.66 per month. Youâ€™ll be billed $139.95 for the annual plan. Hi Peter: Oh thank you for offering this helpful tool. I am a nut about grammar and spend a lot of time cringing while reading on line and hard copy articles that are written so hastily that it is obvious the writer just doesn’t care. Your points are so important for anyone looking to make money by attracting readers to their sites. 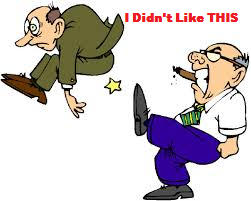 When I see sloppy writing and bad grammar even on an interesting site, I just don’t trust the content and click away. By presenting this useful tool, maybe some bad writers will take heed and improve. Thank you! I liked the content in your article. 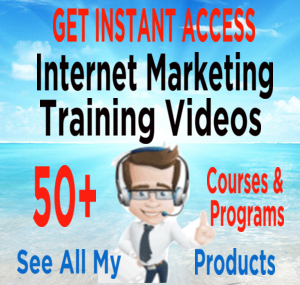 The videos are very helpful for readers to get an understanding of the product. One thing I would suggest is maybe adding examples into the content. Sample writings that were checked using Grammerly. And also building on the content from the video into your content. Giving reasons why it is the best when compared to other products available. I’m glad I read this as I never knew there was such a tool. Although only so glad as I don’t see me taking on the expense of the premium version at this time.What do you think of the free version ? I would be happy to try the free version and see how much it helps. I know that some errors slip through. Obviously if you thought it was right the first time you will probably still think so when you proofread it. Thank you for the very useful information ! You listed some applications that it does work with and made the comparison to Google docs…do you know if it works within Google docs? Or are there other add-ons you would suggest there? I agree 100% with your claim that bad grammar and general bad English skills will undermine your credibility when writing. I am more forgiving with the odd spelling mistakes because I know not everyone is a spelling champ like I am and I know that typos affect the best of us especially when we’re a bit quick on the keyboard. I recommend people do a proper online grammar check using grammarly and I also recommend people proof read their own material a couple of times before hitting the publish button. 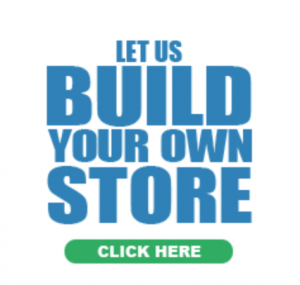 Will be visiting your online affiliate wealth site frequently to read your latest posts. Hello Jame Thank you for your feedback. The free version of Grammarly is limited in some ways but still very helpful when you are writing as it finds basic n mistakes that are common, but a still a great tool nonetheless. The premium version unlocks the most useful features, such as Plagiarism and Vocabulary Enhancement. These features are particularly useful for people who work online and have to produce content on a regular basis. Because, even when you write an article from scratch, many of the same sentences are found in articles that have already been published, thus increasing the risk of receiving a penalty from Google for duplicate content. I personally use Grammarly’s free edition and found it to be very useful. It detects all sorts of simple grammatical mistakes. But just like any other tool, it sometimes does not give you the correct suggestion. I tried Hemingwayapp, but Grammarly is still superior in terms of intelligence. The thing I dont like about Grammarly though is that it’s a bit expensive for a grammar tool. Hello Clydeuscope. 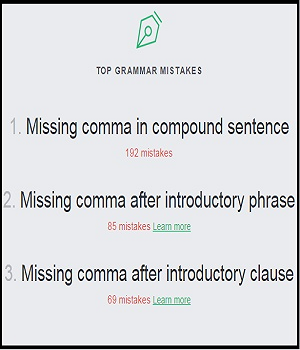 Thank you for your comments Yes the free version of Grammarly detects common spelling mistakes, and it also helps with sentence structure, as well as other punctuation suggestions. The premium version however does a lot more than just this. It unlocks the most useful features, such as Plagiarism and Vocabulary Enhancement. These features are particularly useful for people who work online and have to produce content on a regular basis. Even when you write an article from scratch, many of the same sentences are found in articles that have already been published, thus increasing the risk of receiving a penalty from Google for duplicate content. For this reason if you are a serious website owner and want to get good rankings in google, itâ€™s important to run your article through a plagiarism checker before you hit the publish button. Grammarlyâ€™s plagiarism checker runs in real-time so you can quickly make the necessary changes and help you rank higher on google. I have read about Grammarly before but never tried it. Your blog post has given me reason to go ahead and do so. 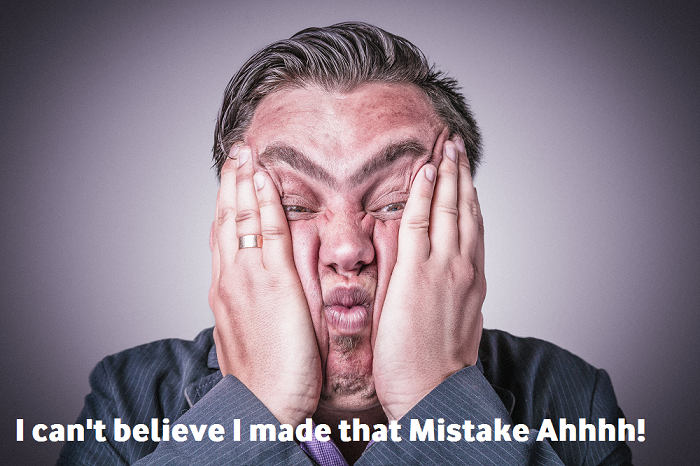 You make a great point when you say we all make mistakes as I sometimes read mine again a few months down the line and see errors I didn’t pick up the first time around. Thanks for the review. I like the smooth flow of information and how comprehensive it. My recommendation would be to downsize the font a bit. I downloaded the app just a few days ago. I cant wait to upgrade to premium version. However I wish that the fee could be subsided down a bit. Thanks for this great information Peter. It can’t be helped, typos are like smooth criminals who can slip through your very secure guard. It’s really annoying especially when you already published your article and someone commented below that you made a typo. It’s also very time consuming, like in my case, I have to reread my article 2 to 3 times before I can correct all my typos. It took the toll on me when I have made a 5k plus review post and I have to read it like 3 times until I can’t find anything left. It was time consuming, energy draining and eye popping work. You are so right. I can proofread my articles numerous time and still miss typos. This tool looks like it would really come in handy. I have two problems I am aware of that this toll would help me with. I sometimes type “your” for “you’re” or “you’re” for “your” and “yu” for “you”. Would the free version help with this? I never thought to use an online grammar tool. You make a lot of good points. 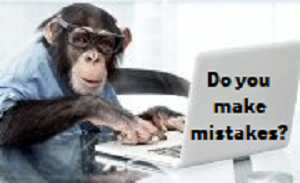 I certainly do stress about potential grammar mistakes and I proof read my posts several times before posting. I even go over old posts periodically just to check for grammar. An online grammar check would be very helpful. Thanks for the review! Couldnâ€™t agree with you more. Iâ€™ve been using Grammarly ever since I built my website. English isnâ€™t my first language, thus I have to use Grammarly so people understand what is it that Iâ€™m trying to say 😀 Iâ€™m using the free version as of now, but Iâ€™ll definitely upgrade to Premium in the future. I do have some questions though. Iâ€™ve installed Grammarly on to my computer. However, after a few days I could no longer see the green button in my Microsoft word. I didnâ€™t turn off any of the settings, why does that happen? Another question is, while the button is gone, Iâ€™ve installed Ginger, which is quite similar to Grammarly. When I have both, sometimes Ginger said my sentences are wrong, but Grammarly says nothing is wrong. Why do they give different feedback? Hello Meina The difference is in the grammar checking algorithms. The thing is that Grammarly is built by people who are amougst the worldâ€™s leading linguists who have a lot of knowledge about grammar, punctuation and vocabulary. The Grammarly engine checks for more than 250 types of spelling, grammar and punctuation errors, enhances vocabulary usage and suggests citations. Grammarly aims to perfect written English by continuously advancing the worldâ€™s most accurate automated proofreading technology. However even though the free version helps spot typos and other grammar mistakes, the premium version will provide you with more advanced features and thats the version that more than 3 million English writers worldwide use as well leading universities and corporations. Grammar and orthography is my weakness, I’m guilty of relying a lot on auto-correct. I’ve heard of Grammarly before and it seems like a good program to do extensive correction on your copy. What’s interesting about Grammarly is that it not only corrects orthography mistakes but also check to improve you grammar. I wonder if for a quick check, the free membership is enough? Even though the free version helps spot typos and other grammar mistakes, the premium version will provide you with more advanced features. If you want to become a better content writer or want to earn more money from your freelancing business, then Iâ€™ll recommend you to subscribe to the annual plan of Grammarly. Hi Peter, content creation has not been an easy task for me. I tend to spend a lot of time finding out the meaning of words when ever am writing, which makes the whole process a little slow. I am sure i will have to try this out because it sounds like its going to facilitate my work a lot. Hey Peter, I just finished reading your review on Grammarly and I was so impressed with it that I felt the need to comment and compliment your work. I never knew anything like Grammarly even existed and am seriously considering checking it out. There are so many sites out there that have really awful grammar and punctuation, it’s quite unreadable at times. This is a program that a lot of people could benefit from. Thanks for the thorough review. I found it really informative, honest and easy to read. Great job! This looks like wonderful software that I could really make use of. I have my own website and I put a lot of information on there regularly. OK I am human and I am sure there are mistakes which can be fixed. I want to give this a try. I notice there are payment plans, but is there not a one off payment I can make to have it permanently? Or do I have to keep paying on the tariffs you mention?